"The Spoken Word Clearly Heard" We design and install sound systems for venues large and small. Steve Roth has worked on the sound systems at Michigan Stadium (Capacity: 107,501) and the Pontiac Silverdome (Capacity: 80,311). We hold ourselves to the highest quality standard. We are committed to quality workmanship and superior sound. We utilize world-standard computer acoustical measurement and predictive modeling tools to assist in the design of superior sound systems. Although sound-quality is job one - we also understand the importance of visual-aesthetics. Compact Bose loudspeaker systems blend seamlessly into architecture, while providing accurate, clearly-intelligible, natural-sounding audio. 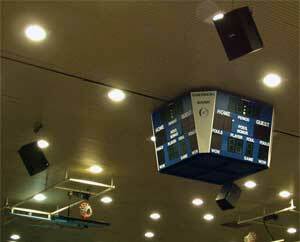 Large, ugly, refrigerator-sized boxes hanging overhead are not often necessary with Bose-technology. When customers or congregants see (and hear) that you have a professionally installed Bose Certified-Design sound system, it sends a profound statement about the quality of your organization. Quality sound has a monumental impact on the conveyance of the spoken word. We can optimize your existing system. Frequently we encounter top-quality components, poorly implemented, in a recently-installed 'brand-new' system (often the result of the 'low-bid' selection-process). Often installed by apprentices, unskilled 'practitioners', (or low-bidders eager to move on to their next victims), these systems may be 'All Show and No-Go'. Until skillfully interfaced and tuned, sadly, many 'systems' never perform like they could, or should. Hums & buzzes, audio-dropouts, uneven-coverage, crackles and pops, DON'T STAND FOR IT! Custom-design, specifically for your application, 100% satisfaction guaranteed. Bose DDBC-certified, the highest level of acoustical-certification available to a Bose Pro dealer. 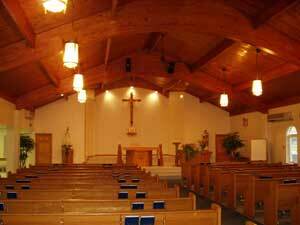 Special rates for small congregations.